I'm going to start out by wishing my country, the USA, a Happy Flag Day. On this date in 1777 the "Stars and Stripes" was officially adopted as the flag of our nation. Through good times and bad, good decisions and very questionable ones, this flag has flown proudly. The US may or may not be the best nation on earth in your view. All I know is that I am pleased to be living here and consider myself lucky that I was able to. I finished the final edits on my LOTR Community Story and turned it in yesterday afternoon. I missed the html codes for one italic and I'll have to edit it when it is made public tomorrow, but I'm pleased with how the story developed. Because I was alone in the house I had the chance to read it aloud as a final edit and once again, that was extremely helpful. It's hard for me to do that on most days, but Wednesdays lend themselves to more freedom of expression. 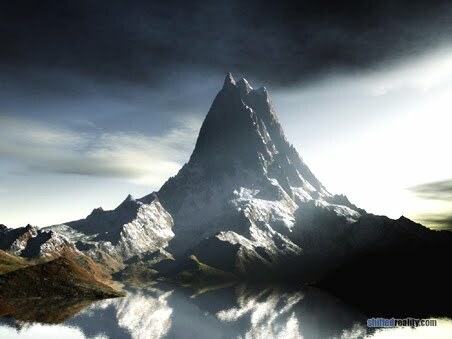 So, one mountain peak photo to celebrate the attainment of one peak (goal). I then had a chance to spend time and catch up with my beta duties. I got the next chapter done for my friend and sent it on to her. She might be on vacation now also because I haven't heard back from her, but whenever she gets a chance to review - it's no rush. I've been working with her now for 2-1/2 years and we've worked out a good give/take. So, one more mountain peak because I accomplished another goal for yesterday. So now I can dive back into my AinA story. I love writing to a challenge, it usually spurs me on to spread my wings and broaden my horizons. My only concerns with any fic swap of this nature is the potential for disappointing the end receiver. So I am reading and re-reading to do my best to write a story that she will be happy to receive. And isn't that the goal of writing stories and novels anyway? Happy Thursday to all of you! Current Location: Falling asleep in my chair. NOT GOOD! Re: Flag day and your feelings. While I often have personal issues with the US as a government entity, it still IS one of the best places to be born. If anyone doubts that, just check the rules and regs for leaving with your passport and the words of warning issued: Don't leave your book out, don't go anywhere without it. Caution because with a US Passport NO port is closed to you!!! That alone impressed the living hell outta me. And I gotta admit, England was wonderful but it was nice to set down in my on land again. I agree that flag etiquette is rarely adhered to any more, but what a joy when it is. 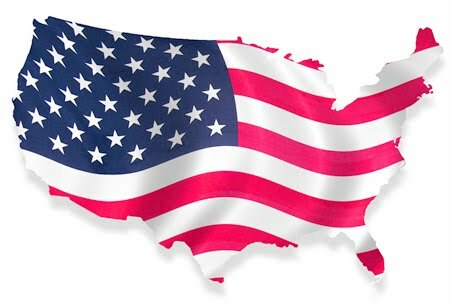 I love this country, warts and all, and feel extremely fortunate that I have been allowed to live here and be a citizen here. 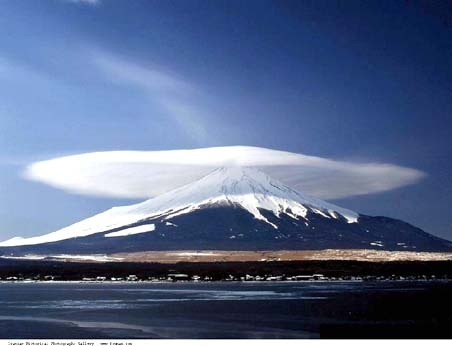 The cloud above the mountain is fascinating - the mountain is wearing a hat! Isn't is kewl? I couldn't resist sharing this one with my f-list.